Looking for a special gift to give yourself or your special someone? 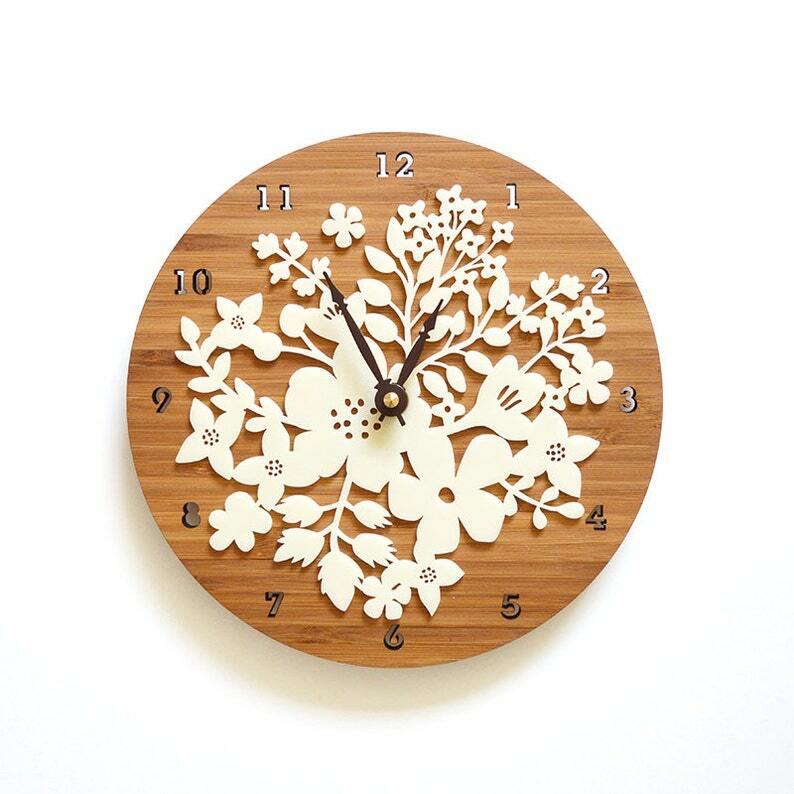 This unique clock features stunning flower motifs. A permanent bouquet on the wall brings many years of adornment. • Gift Wrap available for FREE - Please leave a note at the check out. • Canada & Everywhere else: USPS First class international. There is NO TRACKING service with this shipping option. Delivery may take 2-8 weeks depending on destination. Want it faster? or Want tracking service for international shipping? Ask us for shipping upgrade! Please read our Shop Policy before making a purchase. All designs & images © 2007-2013 Decoylab Design Studio LLC. 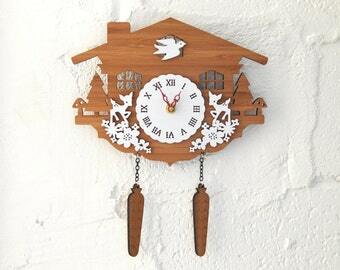 Beautiful clock. Lovely detailing, nice size, and looks exactly like picture. I've been admiring this clock for a long time and I'm so glad I finally bought it! It's beautiful in person and arrived safely and as expected.